The 2014 median household income ($MHI) among the 114th Congressional Districts ranged from $24,429 (NY15) to $115,291 (VA10). See the interactive analysis table to view/rank/compare wide-ranging demographic-economic characteristics of the 114th Congressional Districts. The 113th Congressional District boundaries reflect redistricting, as applicable, based on Census 2010 results. Use the interactive table in this section to view names of congresspeople elected to 113th congressional districts and associated party affiliation. 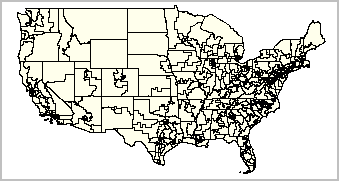 States made no changes to the 113th Congressional Districts boundaries for the 114th Congress. The boundaries of the 113th and 114th Congressional Districts are the same. ... examine school district characteristics within congressional districts. ... what congressional district is my address located in? state legislative district? voting district? ... API-based geocoder can code addresses with wide-ranging geography & demographic-economic attributes. ... new urban/rural data developed using Census 2010 Summary File 1 data. ... urban and rural population and housing data summarized by 113th Congressional District. ... new data based on American Community Survey 2011 1-year estimates. ... tabulations for the new 113th congressional district boundaries. ... ZIP Code to 113th Congressional District equivalence CSV file now available. ... Use these data to determine 5-digit ZIP Codes that intersect with 113th CDs. ... Web-based interactive query/view table available later in week. ... Contact us for additional information (mention ZIP-CD113 data). ... State by congressional district maps for all states; sub-state zoom-in for many states. ... District specific focus maps available in all states. 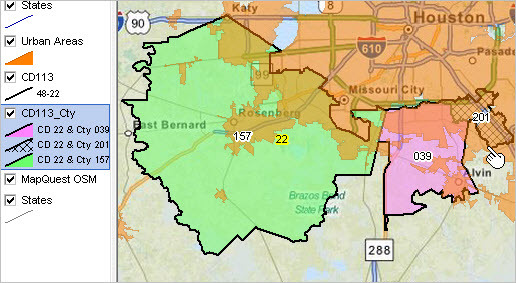 - district focus maps show CD boundary and thematic pattern map. 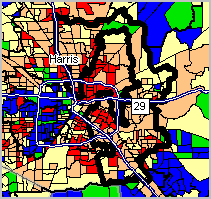 - thematic pattern: economic prosperity (median household income) by census tract. 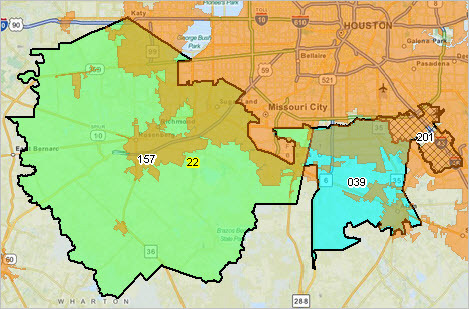 ... Census 2010 Summary File 1 (urban/rural) updated with new Congressional District 113 codes. ... Contact us for additional information (mention CD113 SF1). ... School district thematic maps (percent Federal revenue) in context of 113th CD boundaries. ... School district-CD map views: http://proximityone.com/sdfa_cd.htm. > Corresponding state upper (SU) and lower (SL) house boundary shapefiles. > Census 2010 census block to 113th CD, SU and SL equivalence files. > ProximityOne Census 2010 demographics data by 113th CD, SU and SL. > ProximityOne ZIP Code-113th CD, SU and SL equivalence file and demographics. ... Contact us (888-364-7656) for mapping, GIS projects, data integration and analysis. 113th Congressional Districts ... click graphic for larger view. Larger map shows CD labels. View congressional district by neighborhood maps of economic prosperity (median household income) by census tract. ProximityOne develops geographic-demographic-economic data and analytical tools and helps organizations knit together and use diverse data in a decision-making and analytical framework. We develop custom demographic/economic estimates and projections, develop geographic and geocoded address files, and assist with impact and geospatial analyses. Wide-ranging organizations use our tools (software, data, methodologies) to analyze their own data integrated with other data. Contact Proximity (888-364-7656) with questions about data covered in this section or to discuss custom estimates, projections or analyses for your areas of interest.